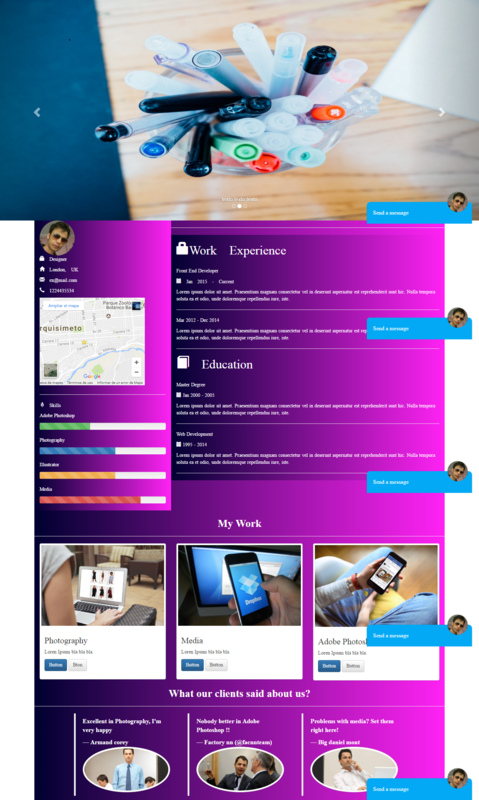 Carefully crafted Bootstrap theme that is perfect for personal or company sites. Ideal for web developers, designers, freelancers and more. This topic has a contact form. Modern design with a subtle touch of color gradient done in css.